Well, it’s been a few months now since Nissa was diagnosed with cancer. I’m ecstatic to report she’s doing exceptionally well! As of her last checkup about three weeks ago, she’s still NED (no evidence of disease) and all testing shows she’s just fine which makes us very happy! Taking her off chemo does not mean we’ve given up on her or on treating her cancer, not by any stretch of the imagination! But we could not see her going through these episodes any longer. This has nothing whatsoever to do with the fact I was spending a lot of time cleaning up after her because she would not always make it to the door to do her messes outside, many times I woke up to these messes. In a way that’s good because as you know dogs have a tendency to eat other dog’s vomit and/or stool and we don’t want them eating what contains chemo medications. I would rather clean it up inside because it’s easier than cleaning up outside and taking the chance I’d not see an outside mess and have one of the other dogs ingest powerful drugs that they don’t need and which may be harmful to them. We were warned not to let the other dogs eat anything out of her food bowl as well so we know that ingesting anything that had been inside her could be harmful to them. This wasn’t easy because Gracie is such a food-hound! When Nissa was first diagnosed I was pointed to a Facebook group that my friend thought I’d be interested in and more importantly might help Nissa but I didn’t get around to visiting the page right away. Although I’m one to always research and consider alternative treatments I’m not a fanatic who believes in sticking only with natural remedies and I don’t believe everything I read — although my husband sometimes accuses me of this! If my dog needs “real medicine” they get it. I’ve tried numerous natural remedies over the years, kept some and also dumped those that had no effect. I don’t just jump in with both feet before I research very well (especially since this was a Facebook link I was given and so much crap is posted on Facebook and other social media sites) I was quite skeptical but finally willing to have a look. After spending hours upon hours reading the posts on the Turmeric Users Group (TUG) Facebook page I will not lie to you, I was genuinely impressed! So then I went website hopping via Googling “turmeric” and some other related topics, following links and re-Googling for more and more and I gotta tell ya — over and over I was not only bug-eyed from all my reading but I was also quite impressed one page after another. Turmeric in which curcumin (from the ginger category) is the principal curcuminoid in turmeric and from what I’ve read has extraordinary cancer fighting properties among other things. There are ongoing studies proving this which you can’t help but find if you research, I’m not just making this up or forwarding “bogus advertisements” to you. I’m not going to go into all that I’ve learned, read and found through research — it’s overwhelming to say the least. There are endless pages on the Internet about both and more. I more than urge you to have a look for yourself! Backing up the truck a little bit, before I actually visited the TUG Facebook page my research led me to order some turmeric capsules and Nissa and I began taking them. Even though I later learned this was the wrong approach the results we got were amazing! Within the same day my knee and shoulder pain began to subside, within three days I could walk up the stairs with little effort and like a normal person whereby before I sometimes had to almost crawl up the stairs. The day after Nissa had her first capsule, she stopped limping on her right shoulder. About six weeks later I finally (but temporarily) over-road my basic distrust of Facebook pages for “miracle cures” and clicked over to the TUG group page. Also having joined and then subsequently un-joined the Dog Cancer Blog website due to it’s over-advertising their product(s) and feeling pushed to purchase I gave TUG a go-round. That’s where my eyes really bugged out and where I learned the capsules I’d bought were not safe and should not be used for more than three months. The reason being the dosage of turmeric in them is too high and they’re processed capsules as well. I could not give these capsules to Riley because of his liver enzyme issues. Soooo, after reading the amazing success stories, learning that the group itself was founded by Dr. Doug English an Australian veterinarian and who also invented Golden Paste and finding that the group is moderated by vet techs, people nurses, a few other medical/vet profession types and including Dr. English himself I decided to give it a try. I ordered all the natural ingredients, made the paste and we all started taking it according to their instructions. Within a couple of days my husband reported he felt better, his knees, elbows and shoulders no longer hurt and he actually said “That stuff really works!” and he’s not usually big on praise of pain relievers of any kind. He actually went golfing which he loves but rarely gets to go and was always in serious pain for about a week afterwards. I suggested he take his Golden Paste before going golfing and again when he returned and the next morning when he’d normally be no good for about a week due to the pain — he had no pain whatsoever! Where the common people pain relievers (with their chemicals and common sometimes serious side effects) don’t usually do him much good, the Golden Paste worked wonders for him. I was floored. The informational links at the top of the TUG Facebook page tells you to visit the drug interaction page and check to see if any drugs you’re on may not play well and/or be dangerous to take the paste with, so I did and found that Nissa’s chemo drugs were a no-no to combine with the paste so we took her off the paste for the duration of her chemo. We put her back on about two weeks after ceasing the chemo to allow for the chemo drugs to clear out of her system. She also got to go back on her raw diet at this point (after the “OK — it’s been long enough off chemo” from the oncologist). So, if you hit the TUG page, do read the links at the top of the page. Many of your questions will be answered there without re-asking them via posting. This area is a gold mine of information, I swear! Also, read and keep reading the posts, you will continue to learn and to be as amazed as I am over the success stories. The moderators and other members are very helpful as well. 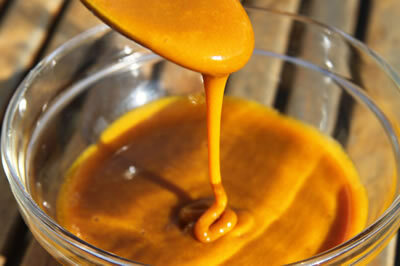 The Golden Paste is a super anti-inflammatory which accounts for the great results we get for our aches and pains. Nissa is back on the paste is still not limping on that shoulder of hers. I also found that Riley can have the paste because the turmeric in it is a much lower dose than the capsules and can be taken forever! Although Gracie’s got nothing (so far) that requires medications other than her thyroid we give her the paste because sheps are so prone to so many things, we use it as a preventative in her case. The paste can also help control one’s thyroid levels among a myriad of other things such as high blood pressure & cholesterol for examples. Golden Paste can be given to just about anyone, including children and the elderly and to other pets like cats and horses and … and … and … but again make sure to check the drug interaction page before taking it. It’s not a huge list in my opinion especially considering all the pharmaceutical drugs people use which I’d estimate to be in the thousands if not millions. There are numerous cancer drugs out there that are ok to take with the paste, Nissa’s just didn’t happen to be one of them. It would also be best to check with your doctor or vet before beginning the paste although I’m pretty sure you’re going to find only holistic vets and alternative medicine doctors that are familiar with it. I found our oncologist was not up for the idea one bit but her vet tech was much more open minded. I also urge you to visit Dr. English’s website which is called Turmeric Life and to sign up for his newsletter as well. And here is a link from the Dogs Naturally website that pushed me more into researching the Golden Paste. If you make the paste, it’s best to use the recommended organic brands of ingredients. Will My Dog Eat the Golden Paste? We found that Gracie and my hubby will eat it right off the spoon, but remember Gracie’s a mini-Dyson when it comes to food, LOL! She’ll eat just about anything. Riley and Nissa will not take it off the spoon (Neither will I! It’s nasty tasting to me!) So, I make what I call turmeric dots. I pour the paste into one of those plastic ketchup bottles like you use for picnics and squirt dots of it onto wax paper, freeze them and when frozen I remove them from the paper and put them into a container that I keep in the freezer. I can then take them like one would take aspirin (with a lot of water!) I can hide these dots which are about an 1/8 of a teaspoon each in something Riley and Nissa will eat, like yogurt for Riley and cottage cheese for Nissa, or liver sausage or whatever tasty goodie your dog likes. Currently we’re all on four dots twice a day. Some people drop their paste into their coffee and there are other suggestions found on the TUG website as well. No matter whether you like the taste or not, you should find a way to down it without issues by visiting their FB page. We’re hoping that what we’re doing will give Nissa what she needs to continue to fight her cancer without the pharmaceutical drugs and their nasty side-effects. There was no guarantee the chemo would work just like there’s no guarantee the Golden Paste will work. We talked a lot about the options before making our decision and so far we are happy with discontinuing the chemo and moving to treating her with the turmeric paste. While you’re researching turmeric, curcumin and Golden Paste, you might also want to look into the use of cold pressed virgin coconut oil … which is amazing stuff, too! Yup you guessed it, coconut oil is also now part of our daily supplements. Wonderful news! I was not aware of the fat soluble side of curcumin and now give it to Cindy with her salmon oil in the morning, judging by her frisbee sessions it is helping and I am also taking it and my joint pains have all but disappeared. There is supposed to be a synergistic effect between curcumin and resveratrol which is found in grape skins and red wine and is suspected to be the causal agent behind the ” French paradox”. Grapes and raisins are of course poisonous to dogs. Have you come across anything that says resveratrol is safe to give dogs? Cindy gets salmon oil, vitamin e, and niacinimide for her slo, and glucosamine/chondroitin with curcumin for joints and anti cancer effects. Any other suggestions for geriatric dogs? Sounds like the turmeric is helping Cindy a lot, that’s fabulous! I too, receive a great deal of relief from my own joint pain since beginning the Golden Paste. Great stuff, wish they could find a way to make it taste better though, LOL! I’ve not come across any info on resveratrol safety so I’m sorry I can’t help you there. 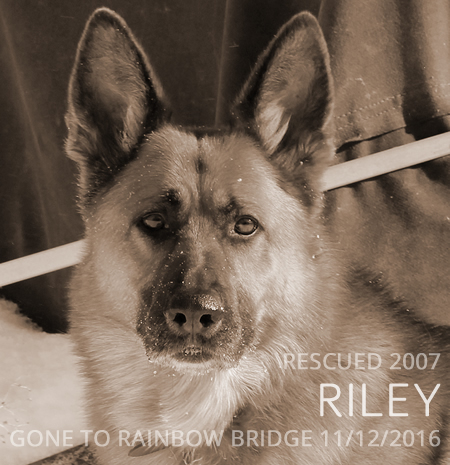 We did up Riley’s dose of Dasuquin with MSM to twice a day and that seems to have helped him. His ability to walk a little longer and climb the stairs noticeably improved. Coconut oil is supposed to be helpful for many things, our dogs get it once a day in their dinner meals. If it isn’t helping anything else, I can tell you our dogs coats are very soft and feel great! Make sure to get virgin cold pressed if you purchase any. We have a book in our Dog Shoppe you might want to check out called Coconut Therapy for Pets.